Miniatures of the artifacts in Göbeklitepe, the world's oldest discovered temple, will be showcased at Antalya EXPO 2016. Located in the southeastern province of Şanlıurfa, Göbeklitepe was first discovered in 1963 as a part of an archaeology study conducted in collaboration by Istanbul University and the University of Chicago. Labeled the world's oldest temple compound, Göbeklitepe is listed in UNESCO's Tentative list of World Heritage Sites. Various Turkey-based institutions, especially the Ministry of Culture and Tourism, are initiating numerous projects to increase the recognition of this important archaeological site. 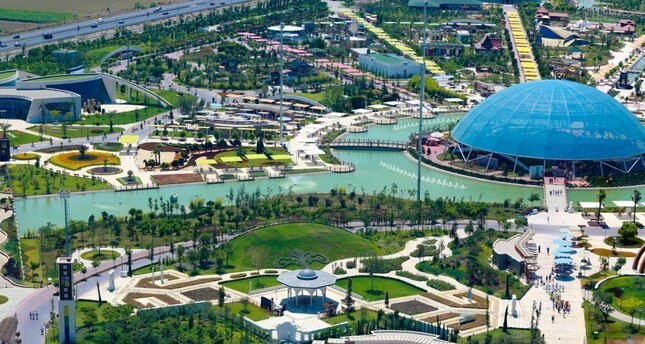 EXPO Antalya 2016, which was inaugurated in April 2016 with the theme "Flowers and Children" and motto "A green world for future generations," is expected to welcome over 8 million visitors. The organizers aim to draw attention to the importance of Göbeklitepe and secure its position on the world's culture map. As part of a project carried out by Harran University's Faculty of Fine Arts students in Şanlıurfa, the miniature versions of sculptures, human and animal figures that were unearthed in Göbeklitepe excavations will be put on a display at the stall set up by the Şanlıurfa Municipality at the EXPO site in Antalya. Professor Ramazan Taşaltın, the chancellor of Harran University, visited the EXPO site and the stall in which students will display their replicas. He said that they are happy to be a part of one of the most important organizations that has ever been held in Turkey. Informing that the university will began promoting Göbeklitepe starting from next week, Professor Taşaltın said: "Students from our university's sculpture and painting departments have been working very hard on this project. I would like to thank our academic staff as well. As Harran University, we will promote Göbeklitepe to EXPO visitors coming from all over the world. We will not only promote Göbeklitepe but also the province of Şanlıurfa." Characterized as "the ground zero of human history," Göbeklitepe stands out among other archaeological sites, dating back 12,000 years, circa 10,000 B.C. Excavations at the site were launched in 1995 by German Professor Klaus Schmidt, who brought to life the previously unearthed finds that have long caused a stir among academics. The archaeological finds in Göbeklitepe have undoubtedly shed light on the history of humankind, with the first excavation phase – completed with the support of the German Archaeological Institute – revealing that the installations erected in the site were not for domestic use, but mostly for ritual or religious purposes. Subsequently, it has become clear that Göbeklitepe consists of not just one, but many historic eras. Further examinations revealed that there are at least 20 stone installations erected at this site, which archaeologists refer to as a temple. The archaeological site features carved stones ornamented with animal figures and 12,000-year-old T-shaped columns, all of which are older than the agrarian age and even the invention of pottery. Prior to the archaeological discoveries in Göbeklitepe, academic circles believed that man began to build temples after adopting a sedentary life and leaving his hunter-gatherer practices; however, Göbeklitepe, which was built by hunter-gatherer communities before they even began to practice agriculture, completely changed this entire school of thought.